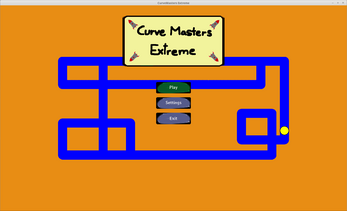 Welcome to 'Curve Masters Extreme'! 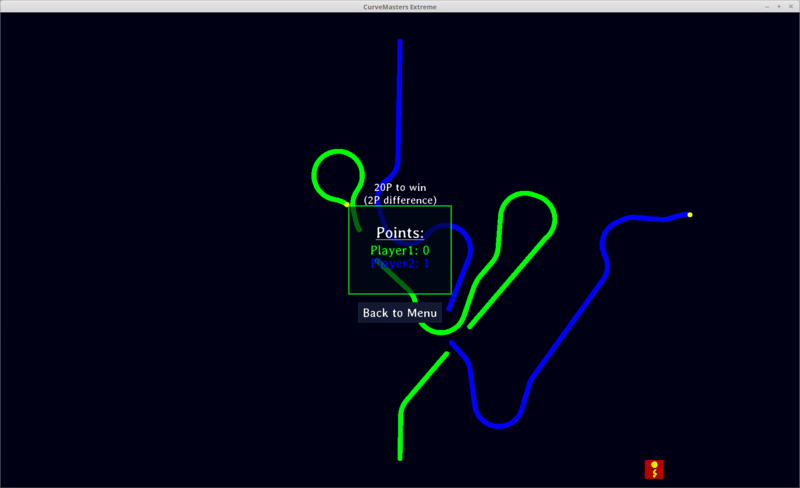 This is my first game and it is basically a "clone" of 'Achtung, die Kurve! 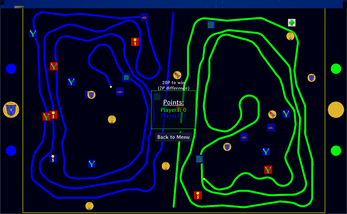 ', an old, but popular and fun little multiplayer game, but with an 'Extreme Mode' and a 'Solo Mode' added. 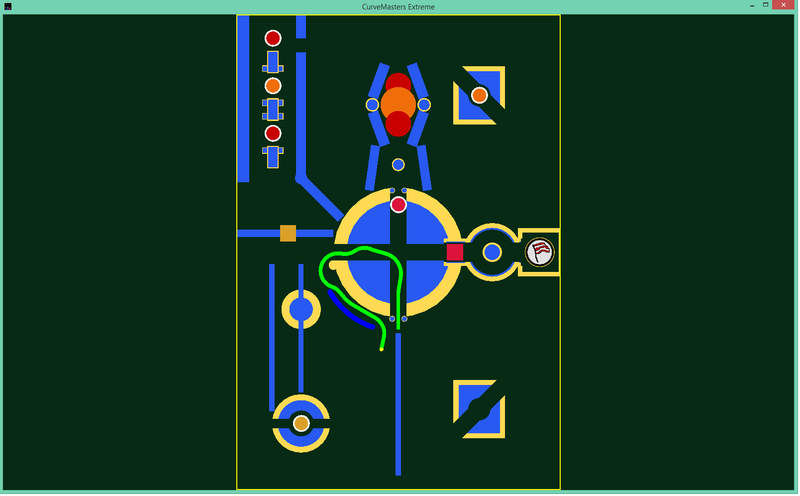 This was meant to be an Android game, but due to some major bugs in the android version of the graphics library I am using (SFML) I could not finish and release it. 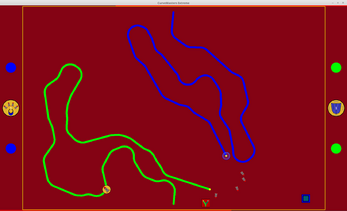 So here is a (mostly) working PC version instead. There could be a lot more features added to it, but I wanted to see if there is any interest in it first. 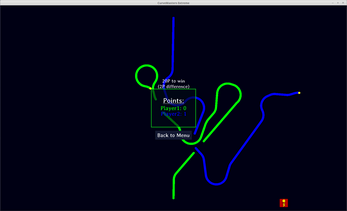 The 'Solo' mode is a bit like Snake, where you have to reach the exit. 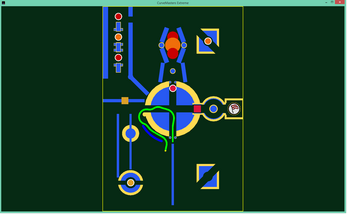 It currently has only 2 levels. The other 2 modes do not have any AI yet, so you need at least one other player for them. 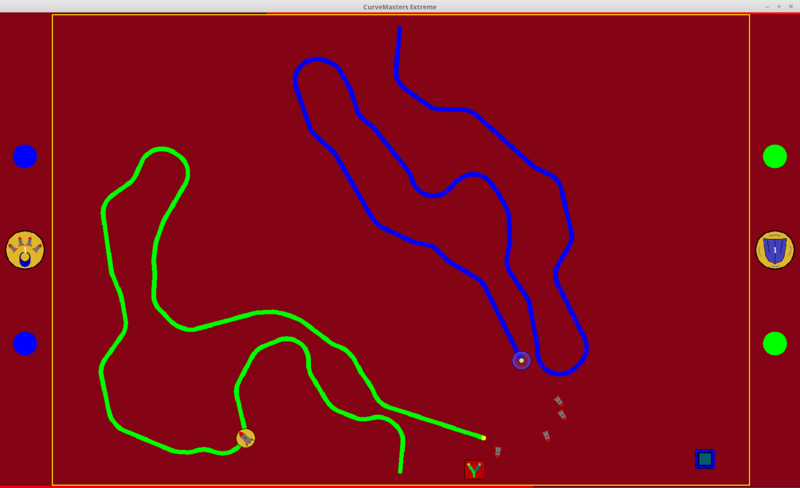 The 'Classic' mode is the normal Snake-like multiplayer game, where 2 - 4 players control the direction their "curve" is going in, avoiding crashing into other players' trail (or their own). 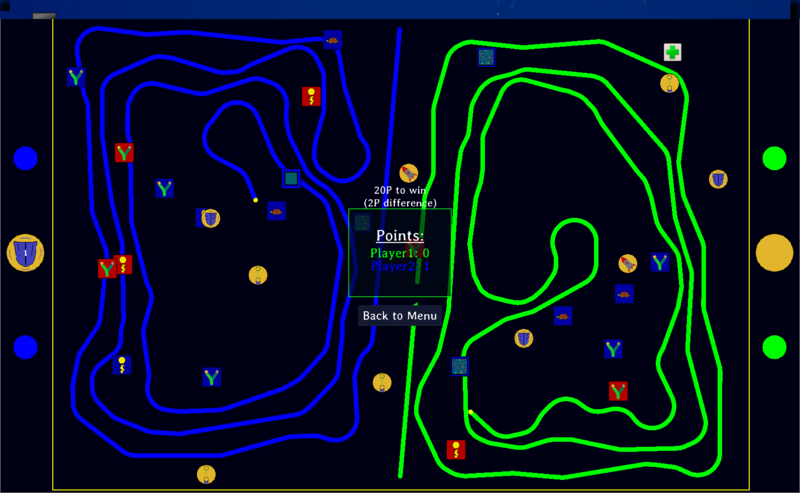 You try to stay alive the longest each round to get enough points to win. There are power-ups you can pick up and you can choose one of 9 colors. 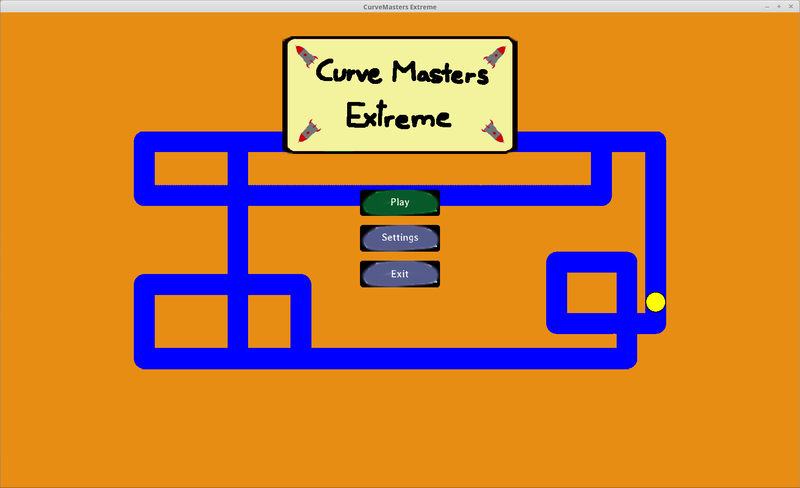 The 'Extreme' mode is a 1 vs 1 match, where you have, additionally to the same rules of the Classic mode, 4 different items to use: Big Missile, Homing Missiles, Shield and Teleport. There is no music or sound yet, but that might be added soon. There are downloads available for Windows and Linux. I hope I included all the necessary files, if not please write a comment. Anything? Please let me know!